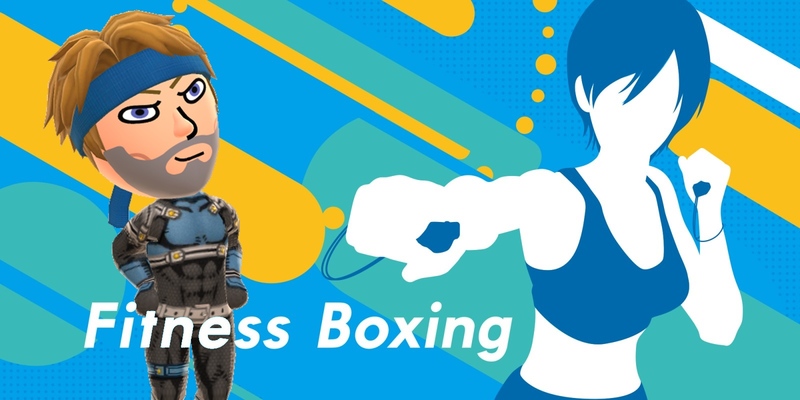 At this point, I don’t know what surprises me more, the fact that I survived my first week of breaking a sweat with Fitness Boxing or the fact I have now spent two weeks moving to the rhythm with it and still feels like it was just the other day that the game was delivered to my day. Putting my shock to one side, despite this week being more intense than the first, as I actually put even more hours into it, at this time I have no good news to share. You see, even after twenty hours of punching, ducking, weaving, doing steps and a change in diet, no weight loss has been attained. In fact, I’ve even put a kilo (2.2 pounds) on and am now heavier than when I started all of this two weeks ago. Sure, I can do a couple of one-handed press-ups with both my right and my left hands, but that’s not really anything new since I used to do them all the time in my early twenties. Then to make things worse for myself, I don’t feel fitter either. I feel great immediately after a workout, but that is only temporary. The only consolation I do have however, is the fact because I am working out more, come the middle of the night, I am actually able to fall asleep and get a few more hours of sleep than the two to three hours of sleep I’m used to, on a good night. Still, just because sleep is the only real thing I am getting out of Fitness Boxing, it is still too soon to throw in the towel just yet, so I may as well go over the things I did this week. As of Sunday however, since all challenges are now complete, both Sunday’s and today’s workouts consisted of me creating goals and doing a series of exercises that cater to my selection (biceps, chest and etc.) and because each goal would only be around 40 minutes long, I would do multiple sessions in a bid to put the hours in. Basically, once again I played it by ear and nothing seemed to work, but that’s okay, for another week is starting and this time, I’m not going to have off days, every day is going to be an on day but some will just be longer than others. I highly doubt it will get results, but it’s what I am going to do nonetheless, plus it will enable me to unlock some new tops and bottoms sooner for my instructors. Entry #2: Boom. Boom. Boom. Boom!